Top row (left to right): 1. unidentified, 2. Mrs. Olivotti, 3. Mark Dasher, 4. unidentified, 5. unidentified, 6. unidentified, 7. unidentified, 8. unidentified. Second row: 1. unidentified, 2. unidentified, 3. no picture, 4. no picture, 5. no picture, 6. no picture, 7. Kathy Honour, 8. Tom Silvey. Third row: 1. unidentified, 2. unidentified, 3. Joel Hicks, 4. unidentified, 5. Mark Clarin, 6. Wendy Badger, 7. Charlie Apkins, later known as Charlie Hegarty, 8. unidentified. Fourth row: 1. Kirsten Wood, 2. unidentified, 3. unidentified, 4. no picture, 5. Kevin Phillips ?, 6. Cliff Bloom, 7. Danny Meseke, 8. unidentified. Credits: From the collection of Kathryn (Honour) Stewart. We are hoping to get a better scan of this picture from her some day. 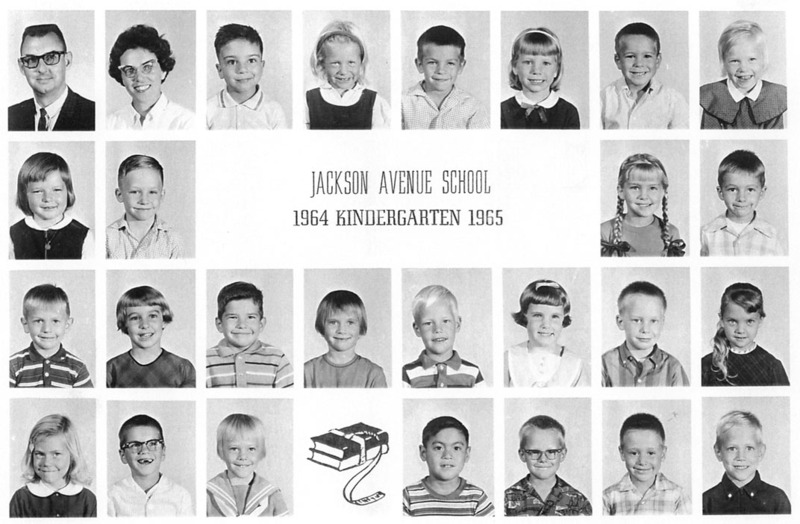 Thanks to Mark Clarin for helping to identify the kids in the picture.